An investor keep thinking about the returns he is expecting from a stock market, mutual funds, fixed income investment options, etc. There is another good parameter to look is how he/she can double the money. The period that would take to double your money depends on the returns expected from the investment option. However there is a thumb rule called “Thumb rule 72”. Thumbrule 72 specifies that an investment period required to double the money would be derived if you divide 72 with the annualized returns you are expecting. E.g. if you are expecting 7% returns, then if you divide 72 / 7 = 10.3 years, it would take 10.3 years to double your investment at 7% returns. 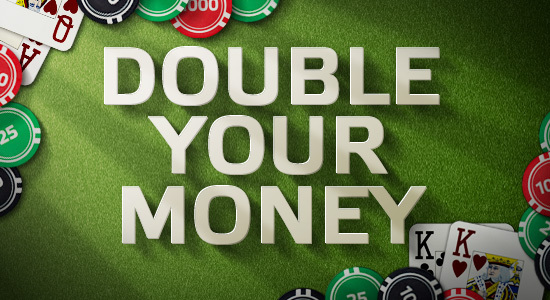 There are various ways to double your money. Best ways to double your money – < 3 years time frame: To double your money in 3 years timeframe, you need to get 24% annualized return. 1) Investing in FMCG sector mutual funds: Currently, there is only one good investment options, which can double your money in < 3 years timeframe. FMCG sector based mutual funds has provided 32% annualized returns in the last 3 years. As per “thumb rule 72” (72/32=2.5 years), it takes 2.5 years to double your money if you choose this as investment option. However past performance may or may not be repeated in the future, hence, an investor need to be little cautious before taking the investment decision. Best way to double your money – 3 to 5 years time frame: There are various investment options which can double in 3 to 5 years investment time frame. As per thumb rule 72, we should earn 14%, 18% and 24% for 3, 4 and 5 years period respectively to double your money. 3) Investment in gold ETF’s: Investing in Gold ETF’s have provided 22% annualized returns, hence even this too takes 3.5 years to double the investment. However some investors are little cautious that this should be looked as investment for long-term as there could downside for short term. 4) Investment in stocks markets: Investments in stock market, have always given good returns in the long term. Stock market gave annualized return of 15% in the last 10 years, hence invest in blue chip stocks would provide scope to double your money in 3 to 5 years time period. 5) Investment in diversified mutual funds / large cap mutual funds: Investment in diversified or large cap mutual funds has given annualized returns of 12% to 15% in the last 3 years. Your money would be doubled in 5 to 6 years time frame if you choose this as investment option. Best way to double your money – 6 to 8 years time frame: To double your money in 6 to 8 years timeframe, we need annualized returns of 9% to 12%. 6) Investment in company NCD’s/bonds: Investment in corporate bonds/NCD’s would provide annualized returns from 10% to 13%. Your investment would be doubled in 6 years time frame. However choose a good NCD’s where capital is protected. Investing in SECURED NCD or bond (e.g. Shiriram NCD), would be a good investment option. 7) Investments in corporate/company deposits are offering 10% to 13% annualized returns; hence investing in such deposits would double your money by 6-7 years time frame. 8) Investment in debt mutual funds: Investment in debt mutual funds has yielded annualized returns of 8% to 11% in the last 3 years. To double your money, it would take 6-7 years time frame. 9) Investment in Bank fixed deposits which are offering 8.5% to 9.25% interest rates. Hence investing in such bank fixed deposits would make your money double in 8 years period. 10) Investment in bonds: Investment in Govt. bonds yields 8%+ returns. You can double your money in 9 years time frame. Conclusion: There are various best investment options to double your money. Based on the risk appetite and the investment time frame, choose a good investment option. Choosing an investment option for long term would provide a chance to double your money faster. However investment in mutual funds and stocks are risky and past performance may or may not be repeated in the future, hence, an investor need to be little cautious before taking the investment decision.